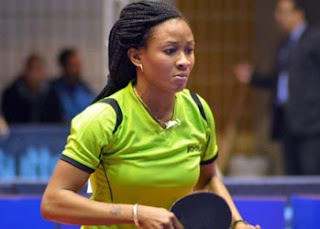 Nigeria and Egypt have been included in the seeding list of the doubles event of the 2017 International Table Tennis Federation (ITTF) World Championships holding in Dusseldorf, Germany, ITTF-Africa stated on Tuesday. The ITTF World Championships will run from May 29 to June 5, 2017. In the seeding list released by the table tennis ruling body, events like 2015 World Championships, 2016 ITTF-European Championships, 2016 ITTF-Oceania Championships, 2017 ITTF-Asian Championships, 2016 ITTF-African Championships and 2016 ITTF-Latin American Championships count for the doubles seeding for this year's World Championships. In the 32 pairs seeded in the men’s doubles, Nigeria’s duo of Aruna Quadri and Olajide Omotayo are Africa’s highest ranked men’s doubles in 22nd place while Egypt’s El-Sayed Lashin and Ahmed Saleh are seeded 26th.